Pulte Homes sued the engineering firm that performed certain engineering and testing services for a building site on which it built a home. It alleged that the home developed structural problems after construction due to deficiencies in the engineer’s site work and testing. After resolving defects asserted by the homeowner through arbitration proceedings, Pulte filed suit against the engineer seeking to recover the damages it incurred with the homeowner. The theories of recovery, in addition to a basic negligence count, included a count based on the right to indemnity arising from breach of express or implied warranties. Pulte alleged that “S&ME expressly or impliedly warranted to Pulte that all work performed by them would be performed in a careful, diligent and workmanlike manner, and that any materials and/or services designed, supplied or sold by them for use on the project would be merchantable and fit for their intended or specific purpose.” In reviewing the contract language, the court agreed that it “includes language arguably in the nature of an express warranty.” Pulte Home Corp. v. S &ME, Inc., 2013 WL 4875077 (U.S. District Court, South Carolina, 2013). For a sample contract clause to disavow and avoid all warranties, read the comment at the conclusion of this article. For these reasons, the court denied the engineer’s motion to dismiss the warranty claim. The matter now will go to a jury to determine whether the engineer breached an express warranty. 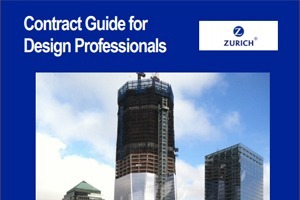 Design Professionals should be careful in their contract language to avoid agreeing to warranties – particularly with language such as that referenced in this decision concerning “merchantability, workmanlike service, and/or fitness for a particular or intended purpose.” It is important to limit the design professional’s responsibility to meeting the requisite professional standard of care. When the client of the design firm is a general contractor, a design-builder, or a home-builder, those entities are more inclined to attempt to insert warranties into the design professional contract. The designer needs to look beyond just the standard of care clause in its contract, and strike out all such express and implied warranty language. About the author: Article written by J. Kent Holland, Jr., a construction lawyer located in Tysons Corner, Virginia, with a national practice (formerly with Wickwire Gavin, P.C. and now with Construction Risk Counsel, PLLC) representing design professionals, contractors and project owners. He is founder and president of a consulting firm, ConstructionRisk, LLC, providing consulting services to owners, design professionals, contractors and attorneys on construction projects. He is publisher of ConstructionRisk.com Report and may be reached at Kent@ConstructionRisk.com or by calling 703-623-1932. This article is published in ConstructionRisk.com Report, Vol. 16, No. 3 (Mar 2014).